Journey is the kind of game which makes ripples in the background, but doesn’t jump out at you unless you really look into it. Going for just £10 on the PSN, I figured for all the good things I’d heard, it was worth the investment. I glimpsed it whilst wandering around Eurogamer last year – I was far too interested in Guild Wars 2 to give it the time it deserved - but I noted that it was made by the same developers as Shadow of the Colossus and Flower, so I knew it came from good stock. 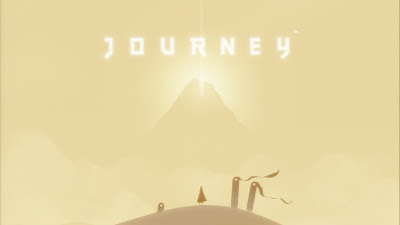 The following review is based upon my first play through, starting at about 1:30am and finishing approx 3am; Journey is the kind of game which is infinitely improved when played in such a susceptible and sleep-deprived state. It is certainly the kind of game to be experienced before forming an opinion, rather than read about – so, instead of giving you my opinion, I’m going to tell you my story. I knew very little about what to expect when I dropped into the world. The game doesn’t really give you any direction, I was told how to move (either by tilting the controller or, the more sensible option, using the right thumbstick) and pushed out into the desert – the only real indication I got was the distant visage of a glowing mountain. As I trotted around the landscape, sliding down sand-dunes and blinking into the sun, the sand rustled softly under my feet. The musical score in these first few zones was gentle and serene, and gave off a sense of curiosity rather than adventure – encouraging me to move from distant landmark to distant landmark, discovering more about my purpose and the history of the world as I went. I moved primarily by scurrying along the sand, but early on I discovered a ball of magical energy which gifted me a scarf which allowed me to jump/fly for a short period, each time I encountered one of these swirling masses of light my scarf got longer, the longer the scarf, the longer I could fly for. I could “recharge” my scarf in a number of ways, chiefly by finding and touching the flying pieces of fabric which move in schools about the landscape. Almost everything in the world seemed to have a friendly and playful nature – when I jumped, I spun in the air and cartwheeled to the ground, the benevolent scraps of fabric which recharged my energy swirled and gently buffeted against me when they bestowed their power. The second zone was much larger than the first (the score expanded into a sweeping and rising crescendo as the sun-glare faded and the land spread out ahead of me before dropping down to a gentle hum as I began to explore). This area was punctuated by sand flowing like water over cliff edges, rocky outcrops with frayed scraps of fabric blowing in the wind and a series of gigantic stone pillars which jutted out the sand. As I moved around the area, the sand would ripple and flow like water under my feet. In the distance I saw the glinting visage of one of the scarf-lengthening balls of energy, so that’s where I headed first. As I absorbed the power and turned to survey my surroundings, I heard a soft thud and the sound of the energy being absorbed again – I turned and saw another traveller gathering his scarf. We signalled each other with a note – by pressing O you can let out a shout which indicates your location with a sing-song cry and a wave of energy (which, incidentally, also recharges surrounding player’s scarves). There is no other way to interact with your companions; you don’t even know their names - you're just each assigned a unique symbol, which is printed on the front of player's robes. My new companion shot off in the other direction, he seemed to have purpose where I was lost, so I stuck to his tail – we moved from rock to rock, singing to the fabric and releasing clouds of scraps which danced up into the air and eventually reformed into bridges which connected the gigantic stone pillars. 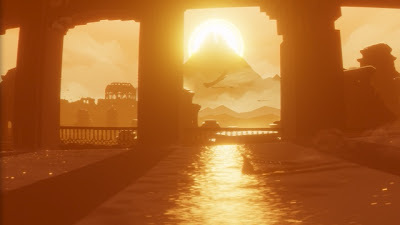 When the bridge was fully formed, I signalled to my companion – partly as thanks, but also as an indication that I was moving on - encouraging him to follow, but he was content to linger in this area, so I spurred on ahead, over the newly-made bridges, through the cut scene and into the next zone. My first in-game interaction was brief and practical, we were both a little confused, but together we worked the puzzle out and then went our separate ways. My next interaction was one which would last the entire game. As I entered into the next zone I stood and looked out over a seemingly endless and featureless desert. Figuring that one way was much the same as any other, I simply headed off in the direction I was facing. I hadn’t even reached the top of the first dune before I heard a note from behind me. I turned to see a player shouting to me in the distance. They seemed pretty insistent, so I headed over (indicating my compliance with a smaller note). When I reached my new friend I saw that their robe was far more ornate than mine (indicating that they had completed the game already), they mirrored my little “boop” with their own and we headed off together. They led me to a part of the desert I would have never found – it contained an energy ball and a trapped fabric-bird which we were able to free by singing. I sang my own thanks to my friend, and we followed the fabric-bird across the desert – singing to each other as we went to make sure we didn’t get lost. 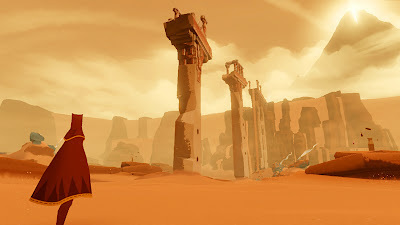 Over the rest of the game my friend and I skated down sand-slides, crept through enemy infested temples, climbed flooded towers. Every time I fell behind they were waiting at the next platform; every time we had to hide they sang to signal to when to stop, and when to go; they showed me every secret they knew. The final few zones took us through the snowy slopes of the sacred mountain. The more the icy winds blew, the more our scarves would be depleted – the friendly scraps of fabric were few and far between, and those that did exist and required a lot of singing to get them to thaw and bestow their power. My friend and I had to stay close together to keep our energy up, we scurried from cover to cover – dodging the enemy spotlights and the blustering winds which threatened to blow us off course. I was spotted by the enemy a couple of times, and suffered the consequences (being totally smashed and having my scarf left in tatters), my friend was patient and waited for me to recover and catch up. The home-stretch involves a final push up the mountain, battling against winds and snow – our scarves being gradually worn away to stumps and then to nothing. We kept warm by huddling together and pushed towards the summit, as the darkness fell and we became more and more weak we kept singing to each other in weaker and weaker voices until, finally, with the sparkling mountain peak still a long way away, we collapsed - overcome by the elements. I won't reveal the end. Needless to say it is (in the truest sense of the word) awesome - afterwards my companion drew me hearts in the snow. After I put down the controller I was in a state of sleep-deprivation induced wonder. I felt exhausted. As an indication of the type of game this is, in my head, as I got further into the game, the "shouting" which you can use to communicate became "singing" the ability for the players to "jump" became "dancing", I found myself huddling together with my companion for warmth when the winds blew, and singing with my last breath when we both struggled up the mountain. The combination of the beautifully crafted landscapes, the excellently weighted score and the novel and endearing interactions had left me absolutely shell shocked. If you have a PS3 and you haven't yet played this game I advise... no wait, I demand that you try it out. I can guarantee that you won't regret it. ArenaNet’s latest blog post talks about the adventure (in-game and out) taken by Katy Wells – a girl inspired by the game she loves to bring the journey from the screen into the real world and go on her own voyage of discovery. I know that for many people being a gamer is something about which they can be loud and proud. Accepting or ignoring all chides and criticism, they balk (or embody) the ever-present “basement dweller” stereotype and wear their gaming passion on their sleeve. But I believe that, for many of us, gaming is something which we might never feel comfortable sharing with our co-workers, family or (less likely) friends. I work in an office where I can almost 100% guarantee that if I revealed my fanaticism for GW2 I would be met with raised eyebrows and sniggers followed by “but you’re 24, not 14!”. It isn’t that they aren’t nice people, I just don’t believe they’d understand (I told a couple of my co-workers last year when I covered Eurogamer for Talk Tyria – and I’ve still not really heard the end of it). It’s a shame that I don’t feel comfortable enough to share my passion with the people with whom I spend most of my time. I’ve talked about the stigma attached to gaming before. I think what I said was “Gaming is our crossdressing”. Katy’s adventure is just one example of the many ways in which games can not only enrich our lives, but also be great vehicles for positive change, I hope that such examples can help to not only reverse the negativity which other people attribute to our passion, but also help us to re-evaluate our own acceptance and perpetuation of the stigma as gamers. Thankfully, this September I have the chance at a new start. I’m quitting my job and embarking on my own 4 year adventure (and at the end I’ll be Dr Knight). I will be starting a PhD course at the Horizon Digital Economy Research Institute in Nottingham. Aside from doing very interesting, multi-disciplinary research in a field which I am really interested in, I also have the chance to start again personally – to approach this new group of colleagues/fellow students with an openness which I don’t feel I have with my current job. Gaming and blogging has been a secret part of my life for so long, I’m not sure how I’m going to change, but for better or worse I think it’s time to bring my passion into the open. I’ve wanted to put together something like this for AGES. In fact, since about 5 minutes after I started my blog. I thought it might be somewhat arrogant for me to post it then, but I think I’ve matured and learned enough now to put together a rough list of some of the pieces of advice which have really helped me in my past year and a half of blog-discovery. I’m not a blog expert, by any means, but I’ve been doing it a while and I think I can probably claim to be a journeyman at least. I can’t pretend it also isn’t inspired by Syp and his great work with the Newbie Bloggers Initiative, and Hunter, Gank and Ravious’ latest posts on the subject. So, here they are - a short list of the lesser heard (but no less important) blogging tips. You aren’t going to be rolling in “innernet mo-nays!” within months of setting up your Google adwords account. When was the last time you clicked on an advert on a webpage? Exactly. The fact is that unless you’re getting hits in the many thousands daily, you aren’t going to be raking in the cash. That isn’t to say it can’t be done; just don’t expect to be living off the income within your first few posts. Posting your link to Twitter, Facebook, forums and other blogs is a good way to get exposure – that’s true. But having other people do it is better. Keep putting out funny, insightful and interesting content and encourage your readers to share it among their network. Start some discussion across media platforms – that’s where the real traffic comes from. Tooting your own horn is all well and good, but it is far more effective when other people toot it for you. Don’t be surprised if, after your initial blogging-frenzy, you run out of steam. A lot of blogs disappear under the waves after a month or so – there are vast blogger/wordpress graveyards occupied by good intentioned blogs which have dwindled and faded away. When I first started, I was posting almost every day, after a while I realised I simply couldn’t keep up that kind of pace, and had to rein it in and set myself a more realistic posting schedule. Don’t worry if you feel you need a bit of a break from writing, the internet (bar impending zombie-apocalypse) isn’t going anywhere. If you do have a bit of a break (we all need it sometimes) try to avoid popping in for an “update” post: “Hi guys, sorry I haven’t posted in a while! I’m still alive!” The fact is that people won’t usually notice a few weeks break if you don’t point it out! I know that sounds a little cold, but it’s the truth. These “update” posts are usually rushed and without any substantive content or purpose, and no content is better than bad content. Remember that once you release something onto the internet, it will not go away. After all, what has been seen cannot be unseen! Everything you write will have ripples – some bigger than others. So while I and other writers might encourage new bloggers to write for themselves and enjoy the freedom, that doesn’t supersede the concept of being measured, reasonable and realistic. With the above point in mind, don’t be afraid to be controversial when you feel it is necessary. As long as you aren’t inflammatory then the reasonable viewing public, even if they don’t agree with your point, will respect you for it. Even if you follow the above two points, not everyone will like you. Be prepared to deal with trolls and flamers. Some of them might even call you a "haughty windbag" - a moniker I’m actually quite fond of. For the love of god, use correct grammar. If you noticed the hanging preposition at the end of point 7 then you’re on the right track. You don’t need to be a grammer-nazi, but at least avoid 1337 speek and common spelling mistakes like your/you’re, were/we’re. Also, please don’t use the phrase “I could care less”, it is wrong, and it makes me want to gouge my eyes out with a rusty lemon zester. 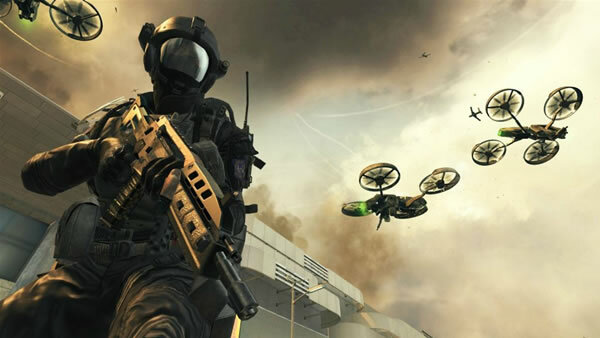 [CoD] Black Ops 2 - Anticipation! Most of my regular readers will be used to me posting solely on MMOs (and, let's be honest, mostly on GW2), but I play other stuff! Promise! I am one of the much maligned masses who play Call of Duty. I know, I know, if I'm going to play any FPS I should play Battlefield - but I like the arcade style of CoD - it's not realistic, it's like playing paintball on acid. As long as you don't try to think of it as a realistic depiction of war, then it's actually a whole heap of fun. Anyway, I digest. To the point at hand: Black Ops 2! I bought Modern Warfare 2 a while back, I was terrible, but I got my foot in the door. Black Ops was the first CoD where I could actually claim to be half decent. For that reason, I enjoyed it a whole lot more than Modern Warfare (and looking back, I enjoyed it a lot more than I'm enjoying Modern Warfare 3 now). 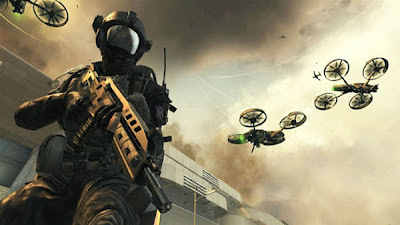 Unlike the cold war/Vietnam setting of the first game, Black Ops 2 will be based in a futuristic environment. I'm expecting robot killstreaks, robot guns, robot prostitutes, robot EVERYTHING. If I'm not riding across the maps on a gigantic mechanical war-machine within 5 minutes of pushing the CD into the system, I will be sorely disappointed. Possibly the longest post I've written for them yet, and probably the one I am most proud of (after the Valentine's in Guild Wars one) - so take a peeky! 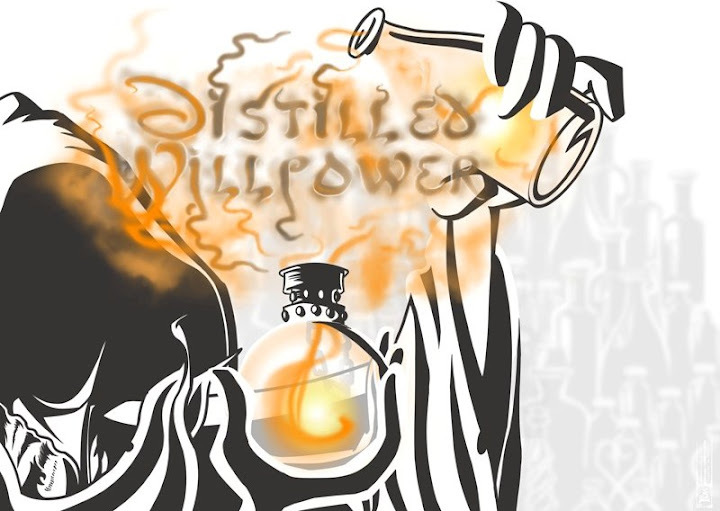 The post scheduled (if I’ve done it right) to be posted on Talk Tyria a little later today borrows heavily from the fact-mixed-with-fiction style of Ree Soesby’s race week posts. I thought I’d try my hand at a bit of prose, rather than just blathering on about my opinion on this, and my staggeringly obvious advice about that. I was rather pleased with the result (especially the bit about a warriors bowels turning to water). I always really enjoyed the posts which came on the last evening of the race weeks. Although I’ve never really read any of Ms Soesby’s work before, I understand her to be a very accomplished fantasy writer – and this is particularly apparent when she has such a small space to portray a compelling story, and still manages to write something interesting, funny and engaging. For this reason, I’m eagerly awaiting Sea of Sorrows (the third and final GW2 interim book). The book is like one of the final few puzzle pieces which will link the years between the end of the EotN storyline and the start of the GW2 (along with the Elonan GW:B storyline). I was somewhat disappointed by the second instalment in the series. “Edge of Destiny” felt like it was trying to fit 100 stories into 100 pages, and consequently could never really get to grips with any of them. It’s not wholly the writers’ fault – they would have topics they had to cover and a timescale to do it in, and if the two didn’t marry up then the result was inevitable. Sea of Sorrows is likely to be placed sometime soon after the end of EotN. Ghosts of Ascalon was set a few years before the timeframe of GW2 – after the truce between charr and humans, Edge of Destiny was set before that and told about the exploits of Destiny’s Edge and the aforementioned eventual ceasefire, so it makes sense that SoS will be even earlier. The title “Sea of Sorrows” obviously suggests something vaguely nautical. If previous books hadn’t set a precedent for concerning themselves only with Ascalonian/Krytan exploits I would be tempted to suggest the story might be about the unfreezing of the Jade Sea in Cantha. As it is, the “Sorrows” element suggests to me that it will be about the rising of the continent of Orr from beneath the sea by Zhaitan – bringing thousands of angry undead with it. 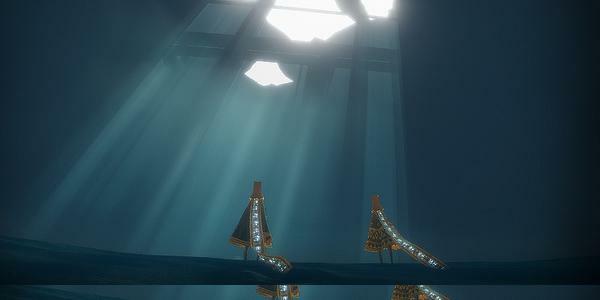 I imagine that hundreds of years moping around on the bottom of the ocean can leave you rather “sorrowful”. Either way, I can’t wait to slot that final piece into the puzzle that is the intervening years between 1 and 2. One of the things which keeps me interested in Guild Wars 2 is that it isn’t just a new game to play, it is a continuation of a story which I’ve been watching play out for the past six years.